Back in 2009 I had my first ever "blood pressure spike". One day I had a pounding headache (which was not unusual) but this one seemed a little different. Late in the day, the pain was intense. I had a nudging from the Holy Spirit to check my blood pressure. I stopped at my in-laws as I was nearby and when I took my BP, it was 233/132. I calmly waited 20 more minutes and took it again. I was also having symptoms of chest pain & pain in my left arm. I called my husband to come home from work and then we went to the ER. As we were on our way, the Lord reassured me and told me not to speak out what I thought might be happening (a stroke or heart attack) but to just share symptoms and ask that the medical professionals also NOT speak those words. After many hours and lots of nitroglyceride, they were able to get my BP down to a reasonable level. My BP wasn't ever high except an occasional spike starting then. When it spiked, I took a supplement called L-Arginine and the BP would drop within 20 minutes. Praise God! Fast forward to 2012. When I was seeing a doctor for my adrenal problems, they did an ultrasound of my kidneys & liver. I was then diagnosed with Renal Artery Stenosis (a narrowing of the renal arteries that takes blood into the kidneys) I was told that my kidneys were shrinking, however, the doctor unfortunately didn't offer any treatment solutions. He just gave me my results and that was it. My BP continued to spike from time to time (noticed it did when I took Excedrin for my migraines). I would take the L-Arginine supplement and the BP would reduce. Now as of last week, I had a BP spike, and I had not taken any Excedrin for over a week. I took the L-Arginine and the BP came down, but within an hour it spiked again. This happened 4 x taking the supplement but then my BP didn't come back down. I had chest pains and jaw pain so I contacted my local doctor. They did an EKG which came out ok and started me on a new blood pressure medicine. They told me that if my BP got into hypertensive crisis 180/110 or had additional symptoms to go to ER. Well, that night, BP spiked again above crisis and symptoms worsened. I went to the ER, they got me stabilized. However, over the course of a few more days, my BP was volatile, up & down but never near normal ranges. I had a follow up visit to my doctor and he was concerned with the BP readings being on 2 different meds. I told him about my Renal Artery Stenosis diagnosis from 2012 and so he decided to take me off the 2 meds and put me on a new one that would be able to confirm or not Renal Artery Stenosis within 1 to 3 days. If my BP dropped to normal within those days, it would be a pretty good indicator. (He did this as the med is only $4 and an ultrasound would be $500). Well, here it is day 2 on the new med and my BP readings are nearly normal. We are waiting on medical records and next steps from my local doctor. In the natural - the only real treatment for this is angioplasty surgery, putting a stint in one or both renal arteries. Having no insurance puts that at almost impossible. I am still researching, but most hospitals require upfront payment, which we do not have. I have applied for Medicaid previously and was declined. Ugh! It is potentially possible for me to stay on this medicine for a short period of time but there are risks associated with this for any long term use. God knows our situation. He isn't surprised by the challenges we are facing. He is in control and the outcome of my health is in His hands. 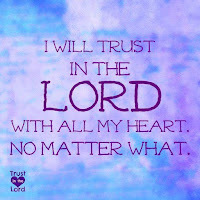 I am confessing the Word and believing that His Word will not return void in my situation and that He will make a way! Honestly, I think this is just another attack of the enemy, trying to take me out before my time. I will NOT come into agreement with him. 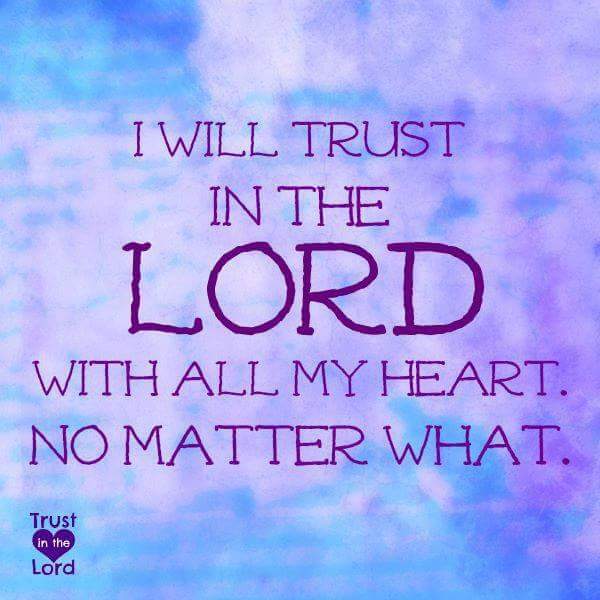 I stand only in agreement with the Lord! 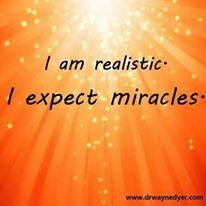 God has promised I would see complete healing in my lifetime and I believe HIM!! My prayer request is that God would heal me completely, not only from this frightening health situation, but from all the health issues I've been dealing with for the past 31 years. It's time! Enough is enough! No more Satan! It's time for the promises God has spoken to me to come to pass. Will you continue to stand with me in agreement!!!! Update on retreat center (destiny) - we continue to make phone calls and gather information for what will be required to design, build and develop a retreat property. We are still in process of forming our 501C3. Some documents have been completed and filed with the State. New Opportunity: I have decided to be a Consultant for Thrive Life Long Term Food Storage. This is a way I can help earn some income (until God brings healing). If you are interested in learning more about this product, please contact me or visit http://michelecole.thrivelife.com. Several months back, we were praying and asking God to give us something to confirm timing of this retreat property and moving into the destiny He has for us. The Lord told Ken to continue to read through the end of the book of Acts. The last chapter, the second to last verse, God gave us His answer. Acts 28:30 For two whole years Paul stayed there in his own rented house and welcomed all who came to see him. (emphasis mine). We have signed a new six month lease good through April. However, come the first of January, if nothing solid has come through via income or retreat property, we will have to start looking into work back in KC or elsewhere. We are not abandoning the vision God has given us and are still very much believing God will bring us through this as well. Stay The Course & Take God at His Word! Are you waiting on God? It seems like most of our Christian walk is waiting on God for something? What has He spoken to you? Can you take Him at His Word? What do you do? How do you actively wait? You're blessed when you stay on course, walking steadily on the road revealed by God. You're blessed when you follow his directions, doing your best to find him. That's right - you don't go off on your own; you walk straight along the road he set. You, God, prescribed the right way to live; now you expect us to live it. According to Wikipedia: "Stay the course" is a phrase used in the context of a war or battle meaning to pursue a goal regardless of any obstacles or criticism. What obstacles are you facing? Are you hearing criticism from those around you? Whenever you walk in faith, trusting God for a promise or a dream He has put on your heart, you're bound to face obstacles and experience "border bullies" as Bruce Wilkinson calls them in his book Dream Giver. Border bullies are those naysayers, those that could potentially hinder or bring discouragement as you wait on the Lord. But the Lord says, "blessed when you stay the course". It's imperative that you surround yourself with those who will support you, encourage you, pray with you and cheer you on towards your dreams. If there are folks around you who don't do this, do your best to disconnect for this season. What has God spoke to you? What dreams has He placed in your heart? This past month I've been spending time in the Gospels (The Message Bible). Every story I read, the message that the Holy Spirit has been putting on my heart is, "you can take Me at My Word". Remember the story where Jesus told the boy to go the next town and get a colt. He said if they ask you what you're doing, tell them I (Jesus) need it. Do you think that if I told you to go to the next town and go to a car lot and get me a new SUV, and if they asked what are you doing, you could tell them I sent you and they would just give the car to you? Doubtful! They'd probably have you arrested for insanity. Ha! But this boy, he had faith and didn't doubt Jesus. He took Him at His Word. So the boy went and did what Jesus said. They didn't question why Jesus needed the colt, they just let the boy get it. Matthew 21 Pretty Cool! That means we too can take God at His Word! Update: Last blog, I included a prophetic word we received that indicated, we were to "stay the course". Since that blog, we have had that same word spoken over us three additional times. We are doing just that! The past 2 months have been packed full of phone calls relating to design, development & building a retreat, equipping hub. We have been working with an organization to get our 501c3 formed and are excited to announce the name of our new business/ministry is Sonlit Fields, Inc. We are working on a business plan, a logo and will work on a website when we are a bit closer. Also, since the last blog, we have now renewed a 6 month lease and the property we want has gone off the market for sale. We are praying and believing that when the funds come in, the seller's will still be willing to sell to us. We feel this is the perfect property to do what God is calling us to do, but as we always do, we hold on loosely. God may have a better property or a different plan. But, we stay the course until we hear anything differently. God is using us to minister to quite a few - a couple who has recently come off meth addiction and is now following the Lord; several individuals who have had trauma in their childhood, troubled marriages, alcoholics driving to get sober, etc. I (Michele) still wrestling with God on timing for my healing. He continues to reassure me that He will heal me completely! Standing on His promises!!!! We are continuing to believe God for the provision for this vision He has put on our hearts. We have no idea on how He is going to bring the funds needed, but know where He guides, He provides. Ken is still working at Dollar General in which they reduced his hours to three days. The extra days off help with the planning process we are doing for the retreat property, however, the income has been reduced to about $300 a month. Obviously this isn't enough. We continue to trust God to meet our needs and He is faithful! Provision, Health and Open Doors! !